You must have heard that phrase that you are what you eat, but Ayurveda says that you are what you digest. Nowadays it has become a trend to eat a lot and that too junk one. Foods, which do not have a nutritive value, but are very “yum to look at” are gaining more and more popularity currently. Packaged and preserved food lacks intelligence or prana which harms our body. All these bad dietary habits and food are responsible for many diseases. According to Ayurveda consumption of incompatible foods, overeating and improper eating times cause accumulation of ‘ama’ undigested food particles in the body tissues leading to various kinds of diseases. By having proper diet your digestive fire becomes low and ama is formed and further formation of ama low down the digestive fire more. Fasting can be helpful in these types of cases. Often people go for fasting, but by not knowing the proper way to do it they further deteriorate their health. Fasting should be done according to the body type of the person as what is good for one can be bad for another. 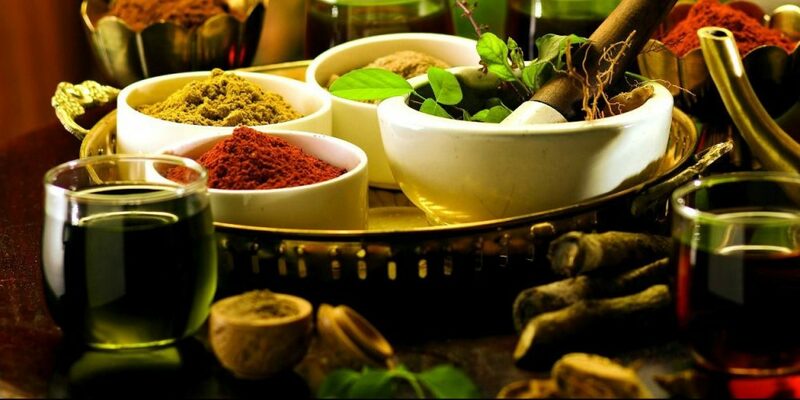 In Ayurveda fasting has been used for ages to regain health and fight diseases. Fasting is a bliss which helps to body to take a rest from the continuous burden of digesting food and all. Fasting is termed in Ayurveda as Pratyahara where Prati means against and ahara means anything ingested by the body. Ayurvedic way of fasting is different and depends upon the body type of an individual. Along with food sensory input and breath is also monitored in Pratyahara. During this we choose what not to take and what to take, that means harmful and beneficial things respectively. Ayurveda does say to go with the hunger pangs and do not eat anything or starve, but it means to have a lighter diet which is good for a particular type of the person. Fasting helps in providing digestive organs a rest and re-energizes them to do their function more efficiently. It helps to clear out the ama and prevent diseases caused due to it. Energy freed from resting of digestive organs, helps in healing. This free energy also helps to illuminate the digestive fire or Agni. Fasting is a natural way of cleansing and detoxing the body. Natural glow is regained and the body feels light and relaxed. Concentration is increased as the mind becomes clear due to increased energy. A person grows physically as well as spiritually due to the elimination of the toxins and clarity of consciousness. Along with curing the diseases fasting also makes mind rid of impure thoughts, clears the mind and makes heart purer. As discussed earlier Ayurvedic fasting does not mean to starve your body for food, but to a healthy and light diet. Hence, during fasting one must eliminate refined carbohydrates, sugars, dairy products, gluten, non vegetarian food, processed food, genetically modified food, frozen food, junk food, caffeine, and alcohol, as these all things create ama. Before going to fast one must know about his constitution (Prakriti), present health condition (Vikriti), diseases and vitality. For knowing all these things one must consult an Ayurvedic practitioner as without knowing all these things one can deteriorate health further. If your tongue is coated when woke up and feeling lethargic it is the right time to fast. Go on a water diet or simple things and wait until this coating goes away. Also, when you feel some indigestion problem like bloating, gas or burning, go for fast to clear the ama from your body. Fasting should be for a short period of time and regular. Fasting should not be extended as it can cause a disconnection between mind and body and weaken the digestion. You should try to take light diet during fastings like vegetables, fruits, juices or khichdi. This helps the digestive system to take a rest from daily strenuous work and detoxify the body. Depending upon the Prakriti of a person’s diet for the fasting individual is different. A person having a Vata personality should not go for only water or no food diet as it can aggravate the Vata Dosha. They should have herbal tea like Arjun Tea or juice of fruits like oranges, grapes or mango. Pitta type individual should opt for juices made from bitter and green vegetables, grape juice or pomegranate juice. They should not fast for a longer period as already have a strong digestive fire. If the Pitta is disturbed in a person he/she can have Arjun tea or khichdi. Kapha people can fast more often if in a healthy state. They can have liquids, including Arjun tea, hot water, cranberry juice or hot water. Synonyms of Arjun are Arjun, gaandivi, paarth, dhananjay, karnaari, nadisarj, indradu, veervraksh, veer and dhawal. Arjun is astringent, cold, beneficial for heart, and treats wasting of muscles, poison, blood disorders, fat, diabetes, and pacify Kapha and Pitta dosha. Arjun Tea by Planet Ayurveda is a gift to all people who want to fast but do not want to leave their habit of having tea once or twice a day. Arjun tea can be had by people of any Prakriti either it is a Pitta, Kapha or Vata. This herbal tea is made from the herbs which are known to have their detoxifying action on the body, the main aim of the fasting. 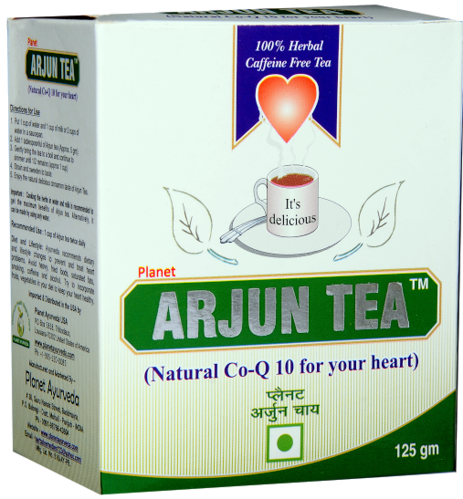 Arjun tea is an amazing herbal formula which helps to detoxify the body along with regulating the blood pressure and strengthening the heart. It is a wonderful and tasty way to remove ama from your body without any side effects. Arjun tea is highly rich in antioxidant properties. This herb controls blood sugar level, lowers high blood pressure and detoxify the body effectively. Arjun is also full of various medicinal properties like antibacterial, antifungal, and antidepressant which helps to relieve the respective diseases caused by them. Its regular intake increases the ejection fraction of the heart and improves muscle weakness of the heart. Punarnava is known to eliminate the toxins from the body, especially liver and kidneys. The diuretic action of this herb decreases the pressure from the heart and improves its functioning. It reduces the increased level of cholesterol from the body and provides strength to the heart along with muscles. Dalchini is a potent antioxidant, which eliminates the free radicals from the body and prevents oxidative damage caused by them. It is advised to be prepared according to the method explained in ancient Ayurvedic literature, i.e. Ksheer Pak, to get its most of the benefits. According to this method boil the Arjun Tea with milk and water to obtain both milk soluble and water-soluble extracts from this herbal tea. Strain it, and then drink. You can take this tea 1-2 cups daily. Previous How to Manage Weight Through Ayurveda?